Can my pain be eliminated? Pain is a side effect of a root issue. The most effective way to eliminate pain is to address the reason the pain began in the beginning. Your commitment to care and follow-through is one of the major determining factors in permanently correcting the root cause. 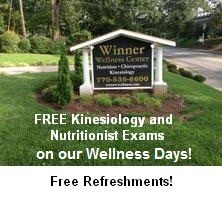 Is there any benefit to continuing chiropractic/kinesiology after my pain is gone? Yes; pain often greatly reduces before the complete correction of the root cause of the pain. Addressing this root cause keeps the pain from returning. What is the root cause of my problem? Pain and other symptoms are often caused by a combination of the following: pinched nerves, blocked meridian flow, weakened muscles, and insufficient nutritional support. The speed of your recovery is largely based on three things: how long you have had the issue, the overall quality of your health, and your commitment to follow-through. Recent issues/injuries have had less time to compound and are simpler to address. A healthy body is capable of responding to treatments much more quickly, and your commitment to the doctor’s suggested treatment plan allows your body the time to completely address the root cause – leaving no partially-lingering issues. What changes can I expect to see after treatments? The most frequent and obvious changes after a treatment include decreased pain and increased range of motion. More subtle changes often include increased energy, better sleep quality, and improvements in posture, clarity of mind, and overall well-being. Should I exercise during my treatment? Exercise aids the body in the healing process. However, your body will notify you of your personal limits. If you experience pain or a restriction in movement, reduce the intensity of exercise and reintroduce easy, mild movements to the area. If you try to push past a pain or restriction, it will likely lead to additional problems. Is there anything I can do to encourage a better treatment and healing process? Supporting your body is key. Drinking 32+ ounces of water daily, taking a warm shower each evening after a treatment, stretching during and after the shower, and providing your body with proper nutritional support all enable your body to heal more quickly.